Black crew neck Long Sleeve Tee with Hotel California logo on front. 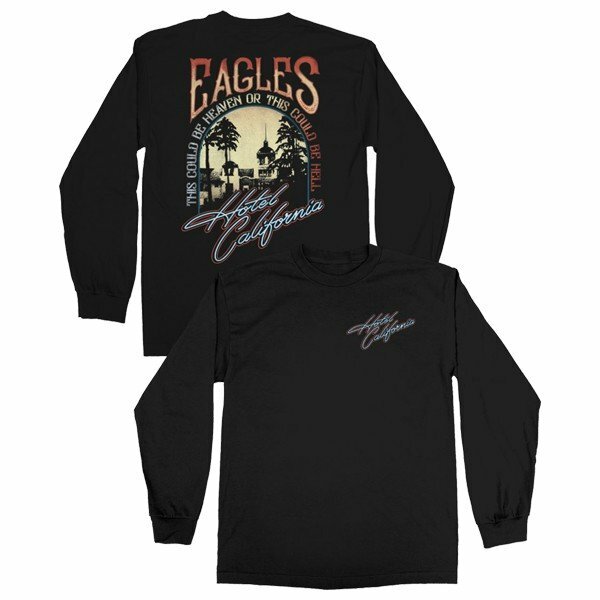 The back features Eagles logo and Hotel California album art and song lyrics. Gildan brand 100% cotton.